Normal skin scarring and pathological hypertrophic scarring commonly occur after surgeries, especially in non-Caucasian patients (up to 47%), and often require multiple surgical revisions. To induce proper healing, the wound edges resulting from revision surgeries must be approximated with medical devices such as surgical sutures. The outcome of whether a sutured wound will heal with adequate tensile strength to prevent dehiscence or widened scars is largely dependent on factors such as tension, vascularity, and local cellular activity in the approximated wound. In cases accompanied by a lack of tissue, such as in cleft lip and palate revision, there is excessive tension across the wounds, making them more likely to succumb to wound dehiscence, one of the most serious postoperative complications that almost always leads to additional surgeries. Unfortunately, all available surgical suture devices approximate tissue in a purely mechanical, non-biological, fashion. Therefore, development of therapeutic suture devices that can accelerate tensile strength reestablishing in high risk, high tension wounds can significantly minimize wound dehiscence and hypertrophic scarring to improve functional and esthetic outcomes in revision surgeries. Towards this end, we have found that a 40-amino acid fibromodulin-derived peptide, F06-C40 can significantly promote fibroblast migration and increase wound tensile strength in both rodent and pig models. In addition, F06-C40-coated absorbable surgical sutures showed an increase in wound tensile strength by 50% vs. control non-peptide-coated sutures in porcine models preferred by the Food and Drug Administration for testing human cutaneous products. Given the broad indication for surgical sutures, we believe that a gel formulation that can be applied with any suture configuration may provide a more streamlined manufacturing strategy and more application flexibility for commercialization. Thus, the goal of the current PSF Translational Research Grant application is to develop and accomplish key efficacy objectives to expedite the commercialization of a peptide-impregnated gel-type device that can be applied with any suture configuration (with respect to needle specifications, suture composition and size) for accelerating wound tensile strength reestablishment and minimizing wound dehiscence. If successful, this product can significantly improve the quality of life of patients suffering from wound dehiscence or poor healing. Dr. Zhong Zheng received his BS in Biological Sciences and Biotechnology in 2001, and subsequently his MS and PhD in 2005, all from Tsinghua University in Beijing, China. Additionally, he received postdoctoral training in 2008-2012 from the Department of Orthopaedic Surgery of the UCLA David Geffen School of Medicine, as well as the Dental and Craniofacial Research Institute and Section of Orthodontics of the UCLA School of Dentistry. He currently is an Adjunct Assistant Professor at the UCLA School of Dentistry. He has been committed to using fibromodulin (FMOD) to manage skin wound healing processes, and has published related studies in the American Journal of Pathology and the Journal of Investigative Dermatology. Moreover, Dr. Zheng is the first person to generate the FMOD-related peptide to reduce scar formation. 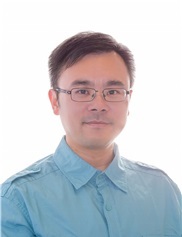 Currently, Dr. Zheng is focused on developing cell-based regenerative medicines for musculoskeletal tissue engineering, such as using human perivascular cells for bone regeneration. He also successfully reverted human fibroblasts into low tumorigenic multipotent cells with osteogenesis and myogenesis potential.